Temple New Jerusalem (TNJ) is a messianic synagogue located in Palm Harbor, Florida, serving the Tampa Bay/ Clearwater/ St. Petersburg, FL. area. TNJ belongs to the mainstream, international, messianic Jewish movement. A quick word about me: I am born and raised Jewish. I am duly trained and ordained as a messianic Rabbi. 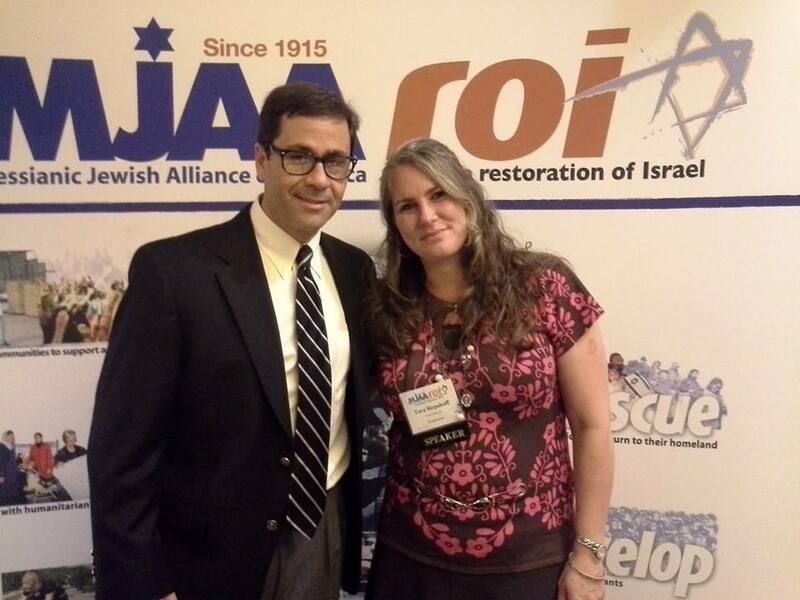 I am actively engaged in serving our community through the most reputable and established messianic Jewish organizations in the world, in which I serve as an executive leader and member of the rabbinical board. (See: www.mjaa.org and www.iamcs.org). If you're interested in attending TNJ for the first time, I would love to meet you! At TNJ we are a congregation of both Jewish and non-Jewish people who identify with Israel, and who believe that Yeshua (Jesus) is the Messiah. We welcome guests and visitors, both Jewish and non-Jewish to attend our services. We are also sensitive to the needs of interfaith couples, where one spouse is Jewish and the other is non-Jewish. Whether you are a regular attendee or a guest, ALL are welcome to come and appreciate the rich spiritual heritage of Israel that is uniquely available to all through the Messianic Jewish movement! My wife, Tara, and I were married in 1994. We are a family with four children who grew up in our synagogue, ranging from late teens to early twenties. Our home is filled with love and our family dinner table is a place of laughter and joy. We greatly value serving the unique needs of families, as well as singles, and newly married couples. I personally love to dialogue with young adults. I believe it is important to love God with all your heart, and to love your fellow human being as well. I also believe it's important to bless Israel. I think those who bless Israel are blessed in return. I invite you to come to a Shabbat service at Temple New Jerusalem. Meanwhile, you can also connect with me thru facebook, my books, podcasts, and online video webinars. I look forward to meet you in person. Come see us! on Saturdays at 10:30 a.m.
May 04, 2019 10:30 AM	• 6900 County Road 95, Palm Harbor, Fl.